I have a lot of little bits and pieces from the last few weeks that I want to report on. 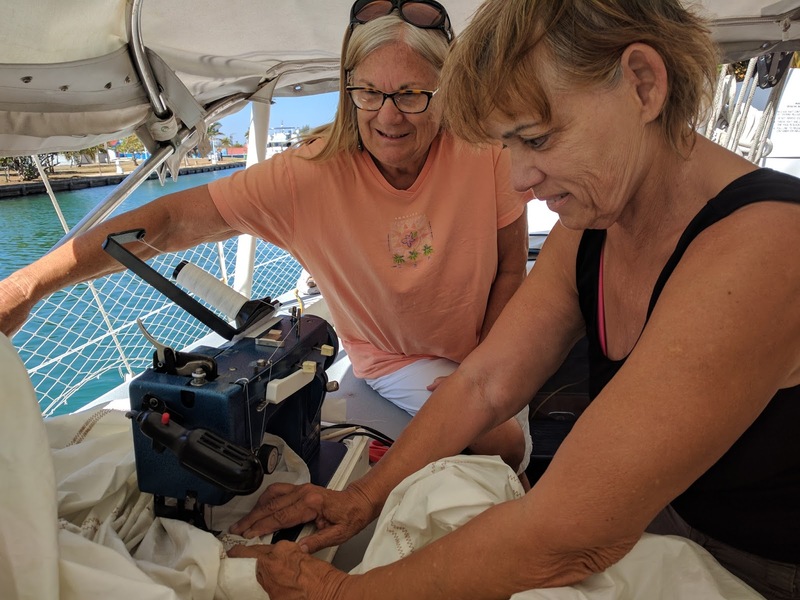 The first is some sewing that Joan on Sunday s/v Growl Tiger did on the foot of my genoa sail in Havana. It started unraveling several months ago and I used guerrilla tape and hand sewing to keep it together but it develop a bubble so it really didn't help my sailing. I still haven't tried it out yet because it was too windy crossing over to Florida but I am sure it is better than new. 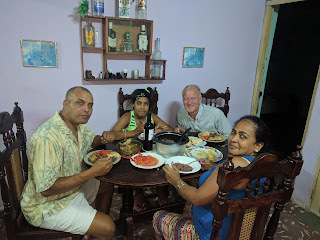 Friday before last I was privileged to have dinner around at my friend Andres home. It was nice to see how an average Cuban lived at home and what they ate. 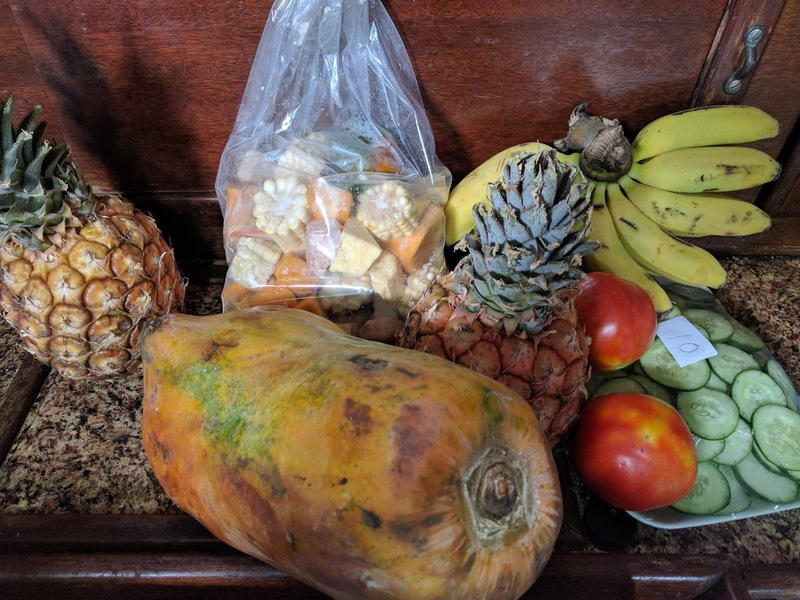 I did some shopping at the local fruit and vegetable stand and this is what you get for $4. 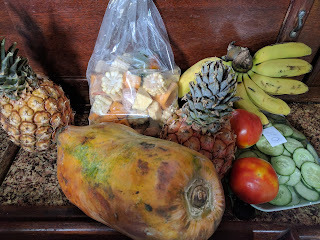 The plastic bag has ingredients for a stew and is quite popular with locals. 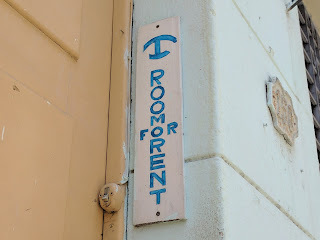 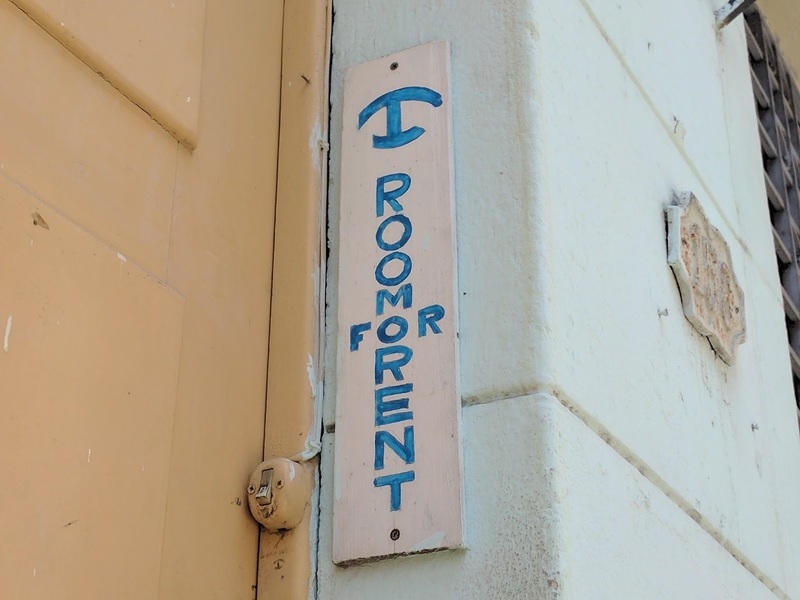 These signs are everywhere and this one is for a "casa particular" where private individuals can rent a room for the night, sort of like a bed and breakfast for around $30 a night. 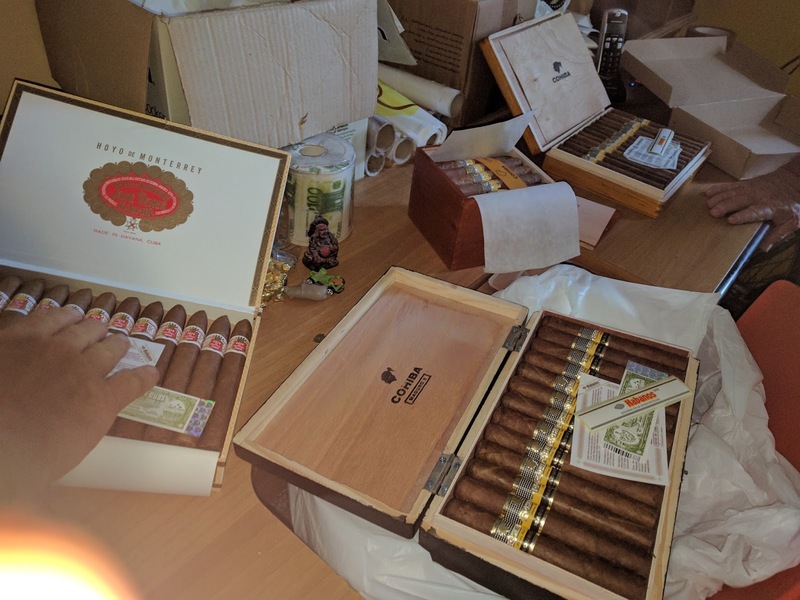 Cuban cigars are on sale everywhere and you can buy unlabeled ones for less than a dollar or find a local in a back room who can sell you the very best for an unbelievable price like we did here. 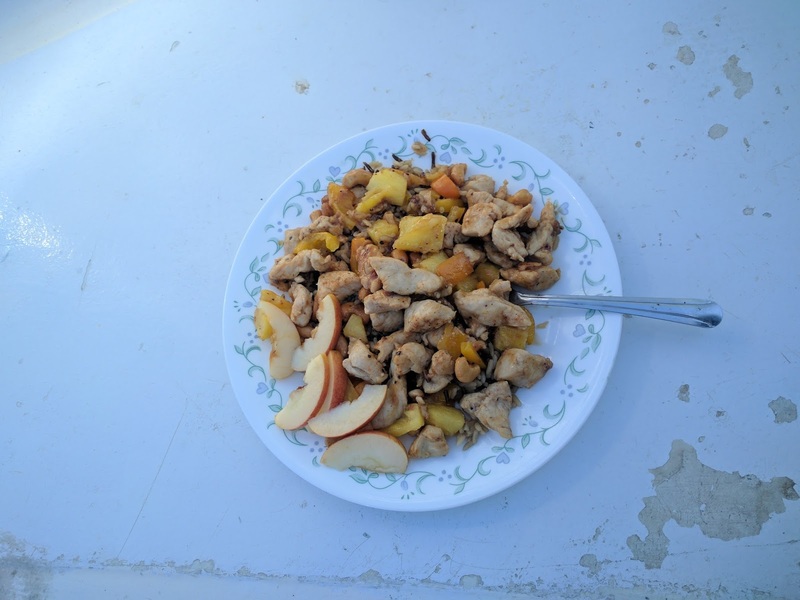 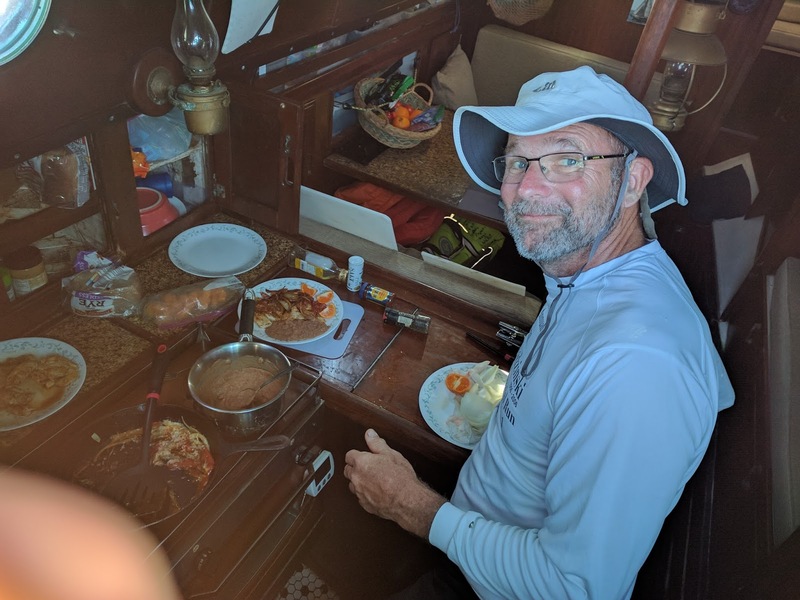 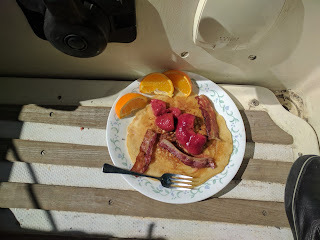 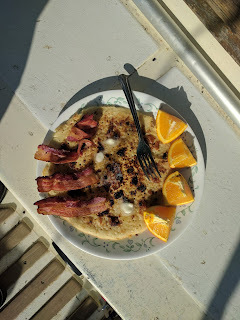 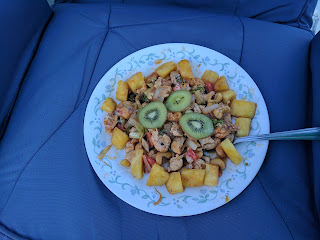 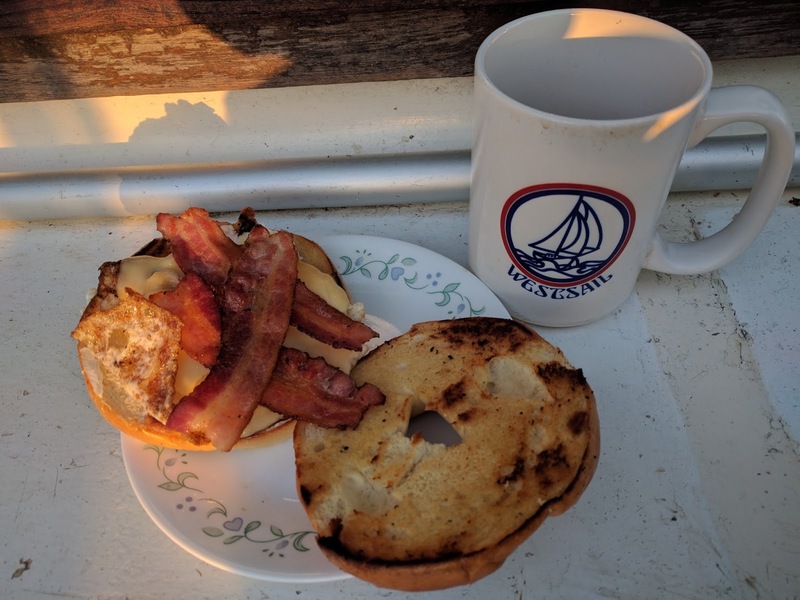 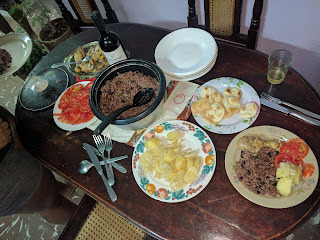 Finally I want to finish off with photos of some of the excellent meals that my crew Kurt cooked while on passage from the British Virgin islands to Cuba.